Location Location Location!! This 2 bedroom home in Dunedin just southwest of downtown is the ideal location! 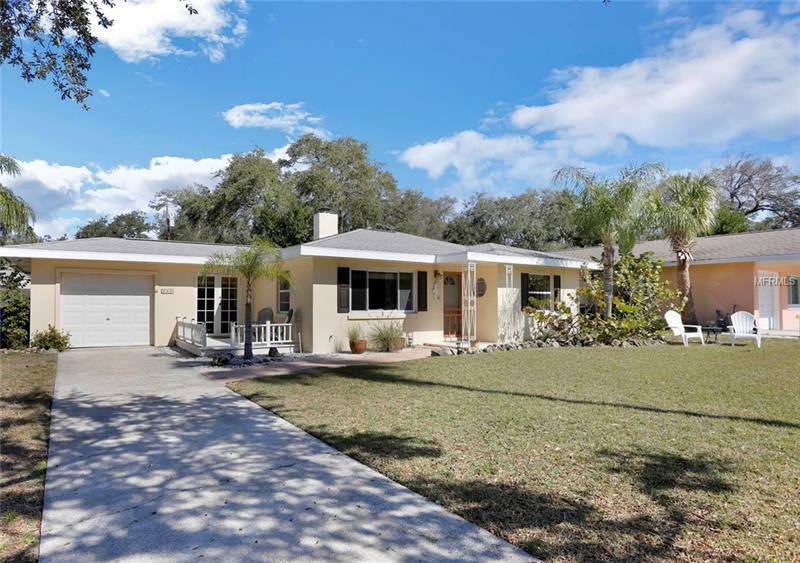 Less than a block from the Pinellas Trail, a few blocks from the water, a few blocks from the Blue Jays Stadium and a few blocks from The newly restored Fenway Hotel! This home has charming curb appeal with a freshly painted large front deck and french doors leading you into the dining area. When walking in the front door you will notice hardwood floors with custom wood accents and a wood burning fireplace. The room is spacious and brings in great natural light! The home has new engineered hardwood floors in the bedrooms, kitchen, and dining area. The large back yard is a perfect space for a pool or adding onto the home! Don't miss this one great home in an incredible location!